The Lady Dunn Health Centre (LDHC) remains open and there is no disruption to the Emergency Department Services at this time. Diagnostic Imaging and the Laboratory are closed to Outpatients at this time. The LDHC joins the 24 Northeastern hospitals who have been afflicted by a zero day virus. 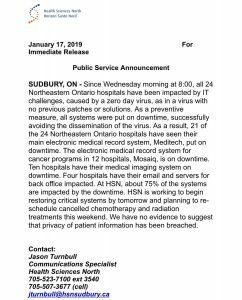 Thursday morning, January 17th, Health Sciences North (HSN) had reported that staff had worked through the night to plan full recovery of services following the discovery of the virus. A 0-Day virus is one that is previously unknown to the software designers, and zero refers to the first day of that they become aware of it, and will now fix and issue a patch for all software owners to install. The LDHC as the others have had all systems shutdown in order to contain the virus. One of these is the main electronic medical record system, Meditech. It was explained to Wawa-news by LDHC CEO Kadean Ogilvie-Pinter that the LDHC has curtailed use of email and other systems. 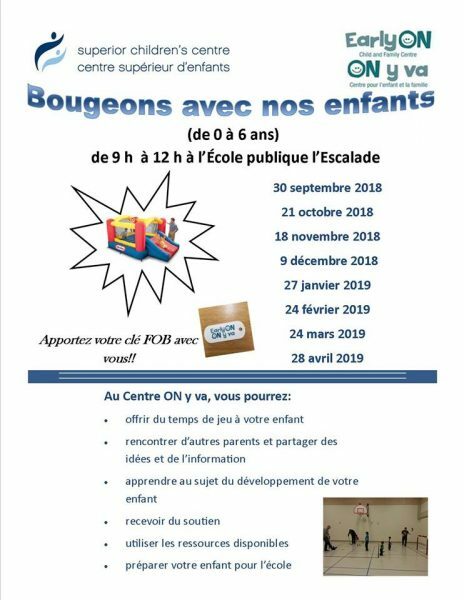 It was advised that if you have an appointment for any of the outpatient services that you call and reschedule those appointments. The LDHC is unable to access those appointment schedules as part of the precautionary measures. 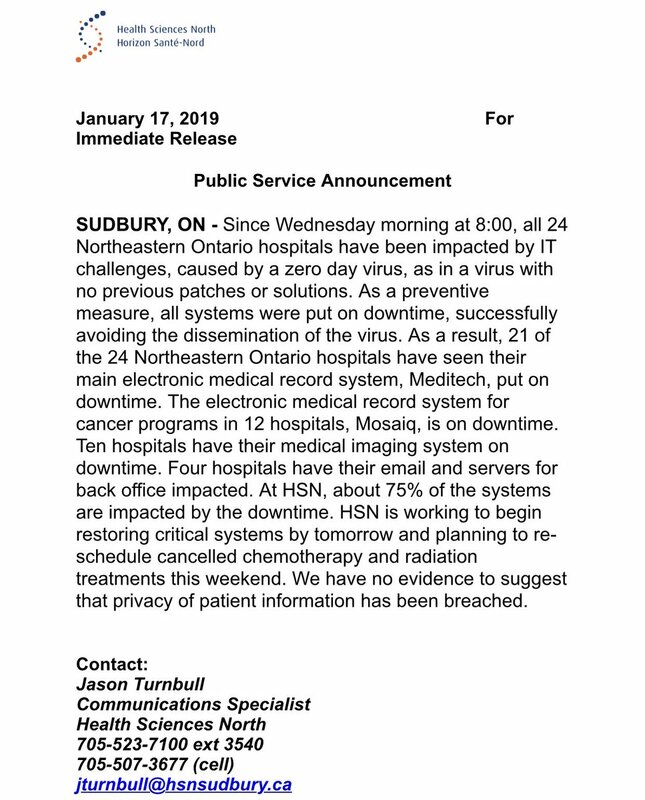 The website for the Lady Dunn Health Centre and Sault Area Hospitals is also down at this time. 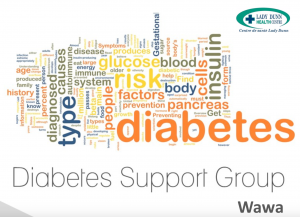 Patients with questions or concerns are asked to call the Client Representative at 705-856-2335, ext 3217.